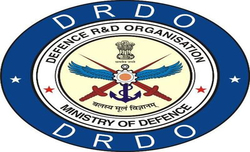 New Delhi: After being without a full-time chief for around four months, the appointment of a chief at the premier defence research agency DRDO has been welcomed by the scientists and officials. On Thursday night, the cabinet committee on appointments cleared the appointment of eminent scientist S. Christopher as director general of the Defence Research and Development Organisation (DRDO) for a two-year term while another scientist G.S. Reddy was appointed as the scientific adviser to Defence Minister Manohar Parrikar for a same period of time. The scientists and officials said functional difficulties were being faced due in absence of a chief. 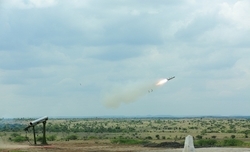 "It is a welcome step, being without a full-time chief cost DRDO in the last four months, impacted the work as coordination was suffering," a senior DRDO official told IANS. Defence Minister Manohar Parrikar recently said that lack of a full-time chief at DRDO was being compensated with giving more power to cluster heads. 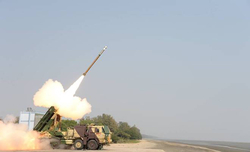 A DRDO official however said it did not solve the problem. "Coordination between clusters is needed for smooth running of things. That was where the problem was," said an official aware of the developments. A senior scientist meanwhile said some tests also suffered due lack of clear guidance. "Some tests suffered because there was lack of clarity. There was no clear boss, it makes a lot of difference," said the scientist. Former DRDO chief Avinash Chander was unceremoniously removed from his post and his tenure ended on January 31. Chander held the posts of Director General, DRDO and Scientific Advisor to the Defence Minister and Secretary DRDO. 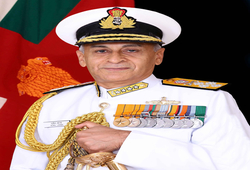 Defence Secretary R.K. Mathur was later given the additional charge of secretary DRDO. Mathur retired on May 24.